Our doctors and staff are dedicated to keeping you as comfortable as possible through all steps of your treatment. 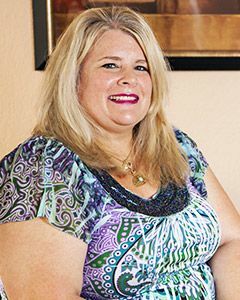 Our friendly staff, comfort amenities, minimally invasive technology and sedation options ensure you receive gentle care and can feel relaxed and at ease. Our friendly staff will treat you warmly and ensure your visits are pleasant and efficient. 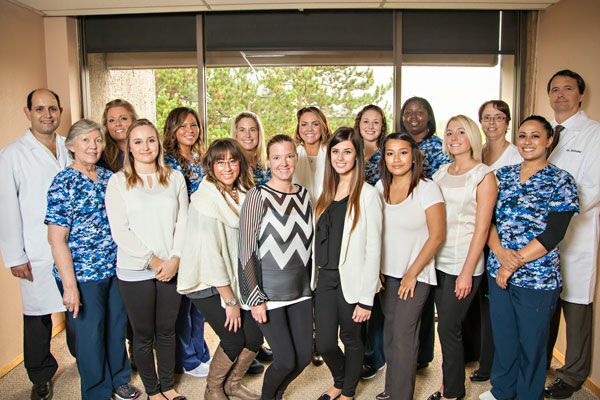 Our staff are very friendly and will happily service all your needs so your appointments are efficient and pleasant. You can always come to them with questions or concerns. 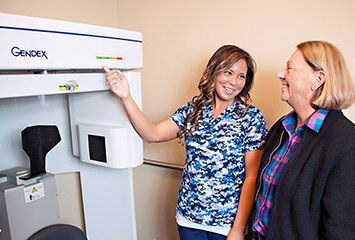 Dr. Rapoport and Dr. Schuler are very interested in your care and take the time to really listen to you and find out your goals and concerns. They make sure to educate you thoroughly on all their findings and your options for treatment. They explain things so you can easily understand them, so you know what is going to happen during each step of your treatment. They will give you detailed instructions on what medications to take and what to eat after your procedure. They will follow up with you to make sure that all is well, and they will answer any questions you may have. Our tastefully appointed and comfortable lounge area allows you to relax while you wait, and our front desk staff will offer you a variety of beverages. We also provide headphones, pillows and blankets for added comfort in the chair. One of the best ways we guarantee your comfort is by using state-of-the-art technology in our diagnostics and treatment procedures. The technology we use will make your treatment minimally invasive, much more efficient and far more comfortable. We obtain high-resolution digital images of your teeth, jaw and related anatomy with digital photos, digital X-rays and 3D CT scans. These images can be magnified for detailed inspection and give us the information we need to accurately assess your dental situation and precisely plan your implant treatment ahead of time. 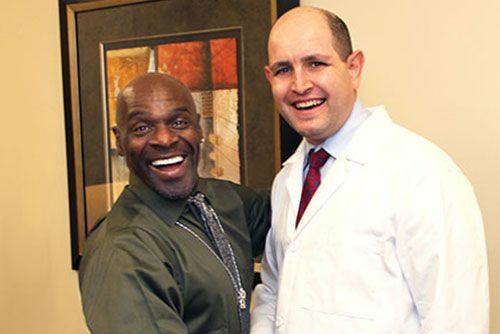 Our doctors use advanced 3D technology to plan your dental implant placement. 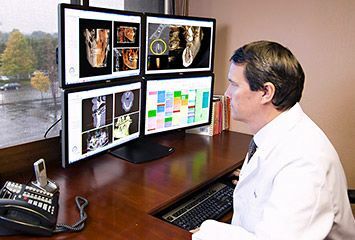 Our doctors load your 3D images into special implant treatment planning software. Here, they precisely map out the exact position, angle and depth of your implants, choosing conditions that will give them maximum stability and support. When needed for accuracy, they use the planning information from their software to manufacture a surgical guide, a template that fits over your dental arch and has the exact placement positions and angles marked. Implant placement through a surgical guide is fast, accurate and significantly reduces the need for surgical preparation of the implant site. 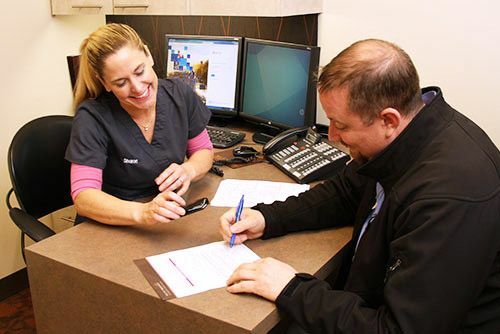 Our doctors use the DentalVibe, an advanced injection comfort device that sends an exact pattern of vibrations into your gum tissues around the injection site. The doctor will thus vibrate the gums while the injection is being administered. The vibrations block any sensation from the injection, making the injection virtually painless. The vibrations also dissipate the anesthetic faster and make the entire procedure both comfortable and quick. Our doctors use special high-tech instruments that allow them to remove teeth gently and without damaging the surrounding gum and bone tissue. There’s no bruising or swelling and the extraction is painless. This preserves the structure of the socket and makes the final result more aesthetic. For heightened anxiety or long procedures, we provide numerous sedation options and, where indicated, general anesthesia. Also known as “laughing gas,” nitrous oxide is a colorless, odorless gas you inhale that makes you relax and causes some drowsiness. We will give you oxygen immediately after terminating the nitrous oxide to accelerate recovery. This is our lightest form of sedation and is used predominantly for cleaning. In oral conscious sedation, you receive a sedative pill to help you relax. The sedative puts you in a twilight-like sleep where you can still respond to requests and questions from the doctor. IV sedation provides a more controlled level of conscious sedation as it is administered directly into the bloodstream and its strength can be closely regulated to align with patient comfort needs and tolerance. Our doctors have a certified dental anesthesiologist administer and monitor the sedative during the procedure. General anesthesia is a far deeper sedation level than Oral or IV sedation. With general anesthesia, the patient is rendered totally unconscious and is unable to feel any pain even when no local anesthesia is administered. Additionally, your normal gag reflex and ability to breathe on your own are lost. In our office, IV sedation and general anesthesia are always given by highly trained and certified anesthesiologists who administer the medications and monitor vital signs throughout the duration of the sedation or general anesthesia procedure. Why choose Pacific Northwest? What do others say about Pacific Northwest? How much do implants cost?